Does transport shape our experiences? Transport doesn’t just take people from A to B, it connects us and allows disparate parts of our city, and of our lives, to link. 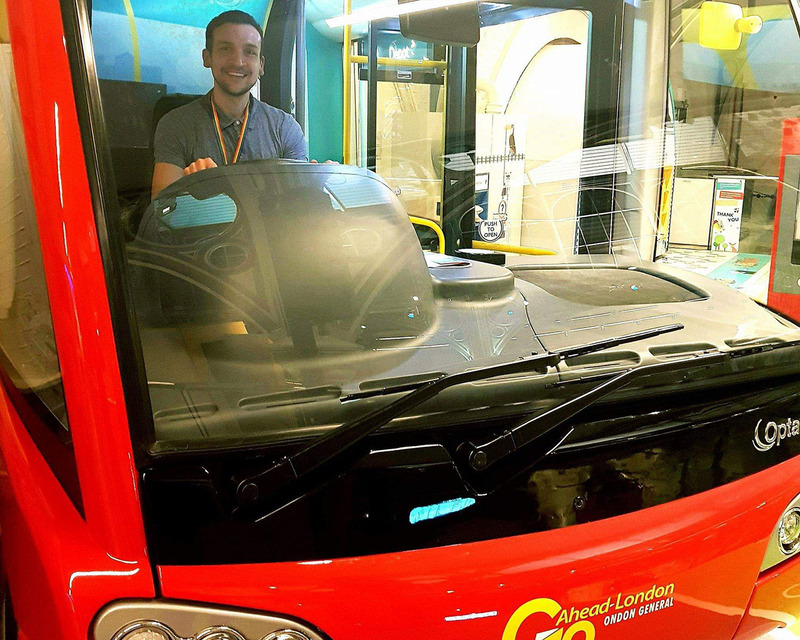 Our project, LGBT+ Linking Lives, aims at collecting stories about how transport connects LGBT+ lives and communities across our Capital. 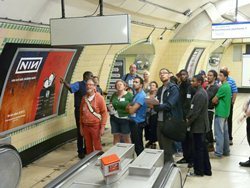 We want to hear about the journeys, sites and stories in which transport has played a role in people’s experience in London. 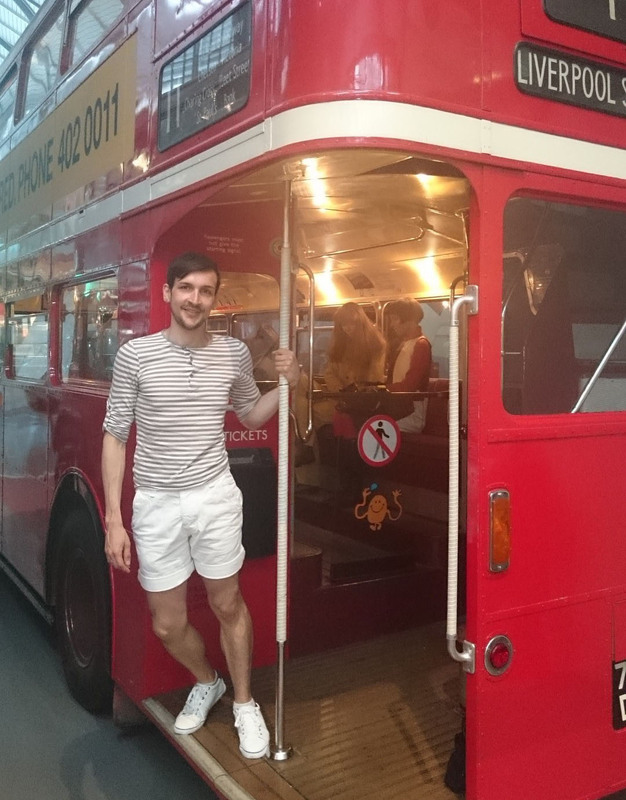 In this blog Andy De Santis – Vice Chair of OUTbound , TfL’s LGBT+ Staff Network – shares with us how London transport has shaped his relationships and experiences. Who doesn’t LOVE TfL designs?! 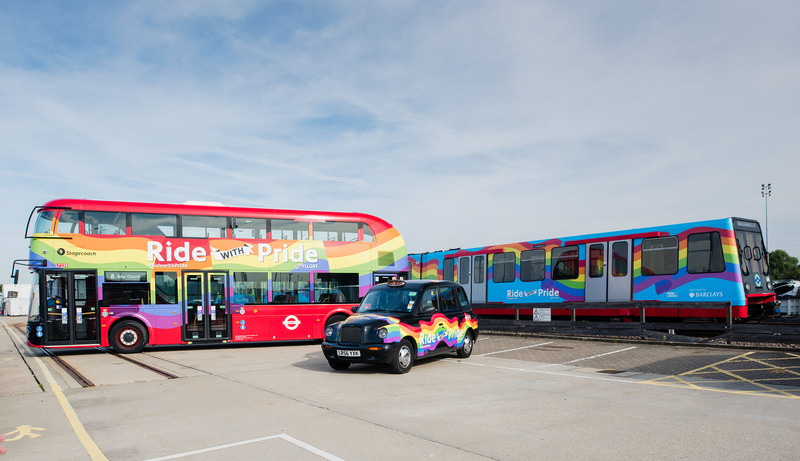 Even before working in transport, I could already understand its importance to the LGBT+ community. When I arrived in London, I initially met a varied group of friends on LGBT+ websites. We were an odd mix of people, from quiet guys in suits to the leotard-wearing nonchalant extrovert. We’d meet up at different venues every weekend – a welcoming break from our exhausting work life. This was our opportunity to be ourselves, free of shame or judgement as we got inside the Tube laughing and enjoying being together. I don’t drive but I like to pretend I do! Do you remember what it was like before the Night Tube? After a night out, everyone would drag themselves along to the bus stop to catch their night bus, like tired zombies in the night – ruined make up, dirty clothes, sometimes the stench accompanying someone who had partied too hard! But the night bus was a place of freedom. Sexuality, race, gender, nothing mattered. Do you remember the big groups? They’d usually be the loudest ones, screaming as if to tell you they’d had such an awesome time. I also remember when they’d start singing – on a couple of occasions others on the bus would sing with them. This bizarre sing-a-long is perhaps what I miss the most from that time. Although I was a bit shy at the time, just hearing everyone around me singing was mesmerising. People united in song, all declaring how they had a good time. Me and Judith, a very visible and proud bisexual, showcasing our rainbow lanyard. Oh, the good times… all the connections, and that’s what transport does, isn’t it? It connects communities and people. I volunteer with a service helping LGBT+ people struggling with addiction and some come from outside the city, as support isn’t available in small towns. I could tell you many stories about me, but I’ll skip the “when I got the bus/train/tram”. Most of my experiences wouldn’t have happened without public transport. 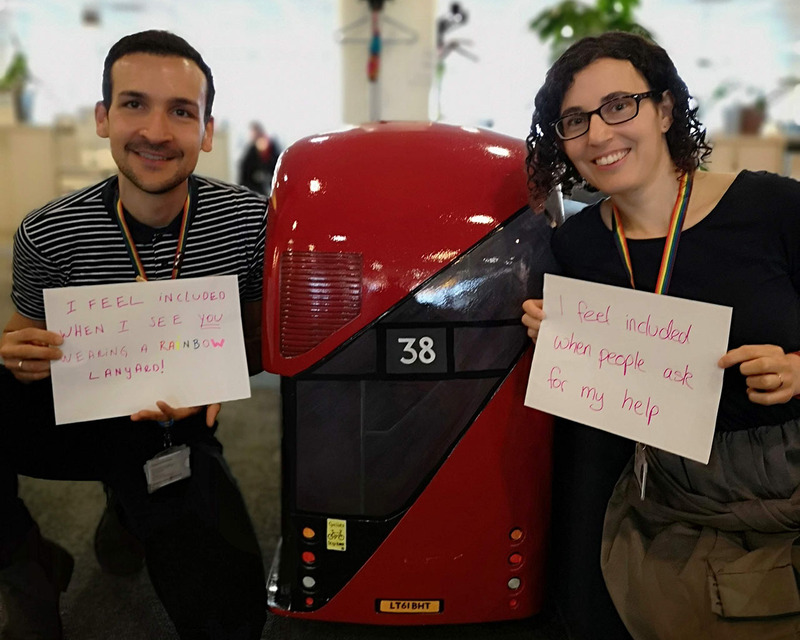 Transport connects us to people we care about. Isn’t it funny how we take that for granted? 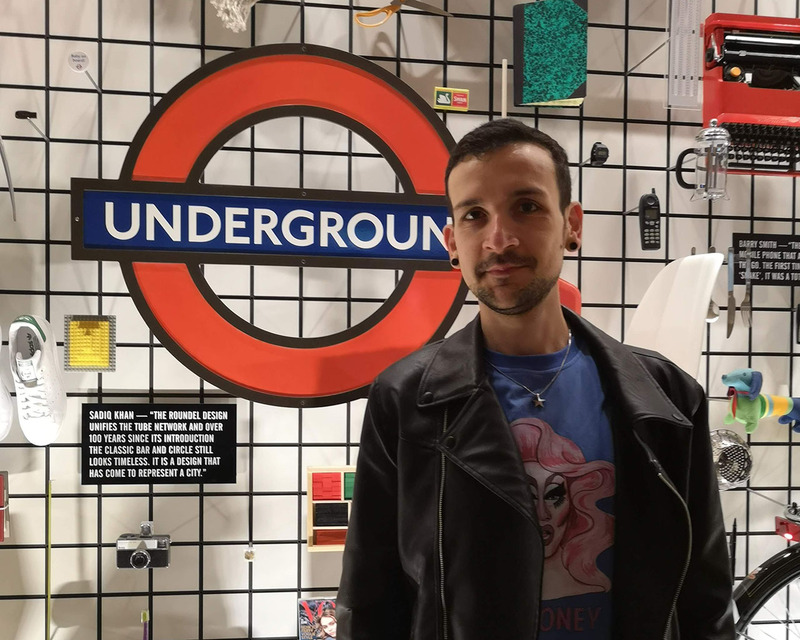 Write to documentarycurator@ltmuseum.co.uk if you would like to tell us your story about the role of transport in your LGBT+ life and experiences in London. Visit our website to learn more about the LGBT+ Linking Lives project. Volunteers are integral to everything we do here at the Museum. Gabby Brent is just one of many people who give up their time to assist in the running of the Museum. He is also a member of the National Autistic Society and he, along with five other members of the Society, was given the opportunity to take part in one of a number of community learning projects the Museum is undertaking to celebrate both the restoration of Metropolitan ‘Jubilee’ Carriage 353 and the Underground’s 150th anniversary. Gabby kindly agreed to speak to me about his experience of this particular project. More information can be found here but as a brief overview Gabby and the other participants took part in a two and a half day creative learning project exploring the restored Victorian Carriage 353, and related subjects and themes, through the use of drawing, applique and embroidery techniques. By the end, each participant ended up with a beautiful felt depiction of Carriage 353. Participants drew up plans based on a particular theme relating to 353, and choose particular materials for their artwork. Having done all that, they had to cut and stick materials to produce their panel. Gabby’s theme was the comparison between old and new, and he produced a wonderful piece of work contrasting Carriage 353 and the new S-Stock now running on the Metropolitan Line. Gabby was understandably very proud of what he had produced. 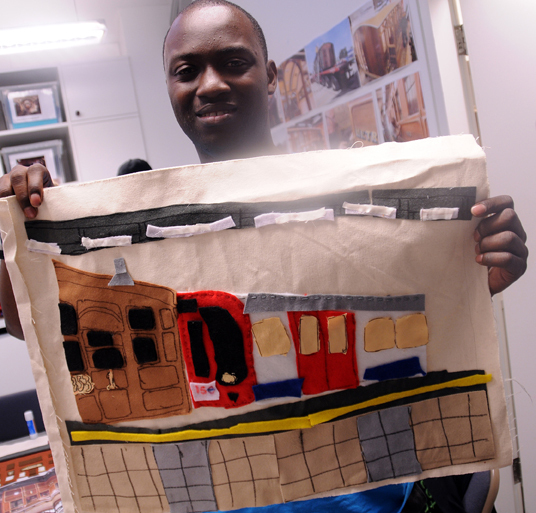 Asked for his favourite thing about the project, Gabby noted that he particularly liked drawing both old and new versions of Metropolitan Line trains. He enjoyed putting the drawings side by side to evaluate the ways transport has progressed over the last 150 years. 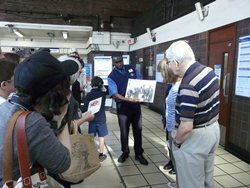 He also thoroughly enjoyed the opportunity to learn more about the history of the Underground, thanks to a Museum tour given by our Visitor Services Manager Michael Dipre and generally exploring around the galleries. There was also a fascinating video showing the history of Carriage 353, from a first class carriage working on the Metropolitan Railway prior to 1900, through to its use as a garden shed, and finally its restoration. Gabby enjoyed the format of the project, having to work in teams to discuss the history of London Underground, and also debating its future. 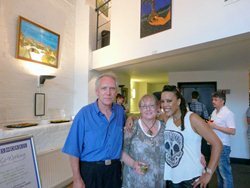 The group atmosphere was really friendly, with everyone getting on well together. A highlight was the chance to dress up in old London Transport uniforms. It was great fun, and Gabby personally learnt that the style of the hats that people wore many years ago is still the style used today! 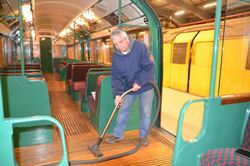 Unlike the other participants, Gabby also volunteers at London Transport Museum. He helps with school trip bookings and craft projects, such as creating station models for London Underground. He has volunteered since 2011 but has visited since the 1990s. Museums are a great passion of his and we are very lucky to have his help here. When asked for his general thoughts on the project, Gabby made it clear that he had really enjoyed himself. 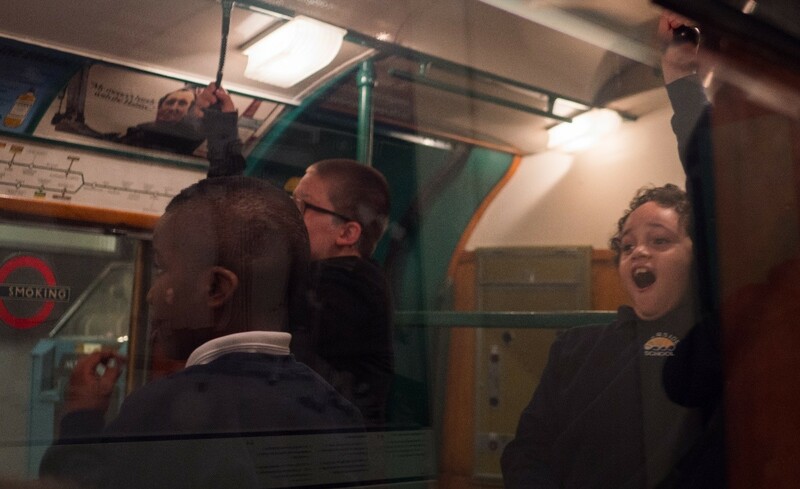 He got on well with his fellow participants, loved learning about the Underground and Carriage 353, enjoyed the dressing up, and was proud of his felt artwork. A pretty good couple of days, I’d say! As part of the Carriage 353 restoration and learning project, a diverse range of community activities have been taking place over the past few months. In August, the National Autistic Society (NAS) took the chance to get involved in the celebrations. 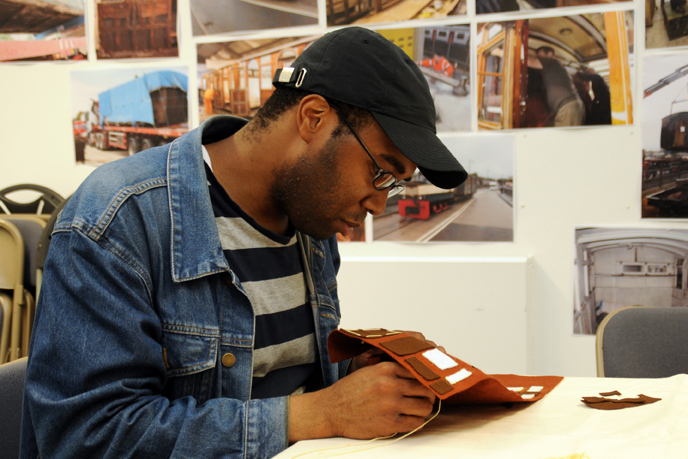 Six members of the society participated in a two and a half day creative project exploring the restored Victorian Metropolitan Railway Carriage 353, and related subjects and themes, through the use of drawing, applique and embroidery techniques. 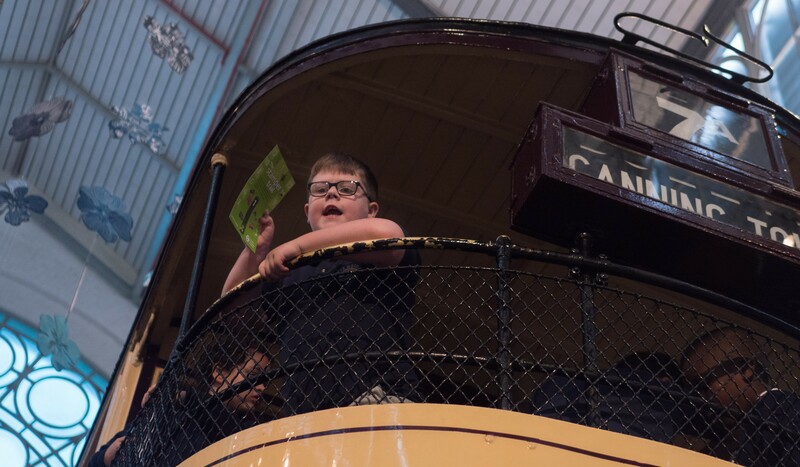 London Transport Museum (LTM) was the setting for the event which was a thoroughly enjoyable couple of days for all involved. 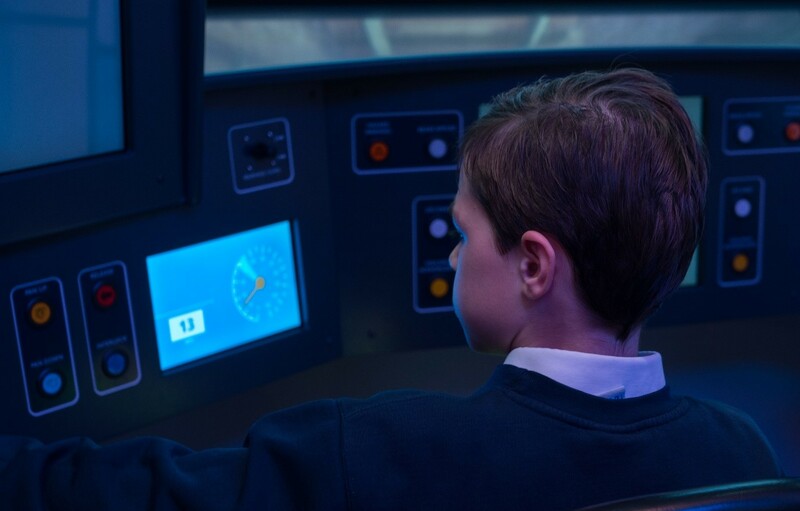 The fun began with the screening of a fascinating film outlining the life of Carriage 353, from its use in the late nineteenth century on the Metropolitan Line, to its life as a garden shed, and finally to its recent restoration. It was then time to explore some of the themes of Victorian travel and the history of the Capital through consideration of some the Museum’s objects. For example, participants had the opportunity to get dressed up in old uniforms which helped bring our transport forebears, and their work, to life. Up next was an engaging tour by our Visitor Services Manager Michael Dipre. Everyone got a real feel for Victorian travel by sitting in former Metropolitan Railway carriages, an important reference point for the creative activities to be undertaken later in the day. These activities centred on the creation of a fabric artwork depicting Carriage 353. Each participant chose a particular area of interest with regard to Carriage 353 on which to base their artwork, and created a detailed drawing, with a view to turning them into fabric pieces. Different fabrics and their textures were examined, with participants picking out suitable materials. Using fabric pens they then created an outline, before cutting out the pieces to collage together and create a fabric interpretation of their chosen theme. These then needed to be sewn together onto a calico panel. Although everyone had some experience of sewing, a quick refresher was provided and soon they began appliqueing their fabric panels. Certainly a challenging task, the group showed impressive skills to embroider their panels. The fabric panels display different aspects of Carriage 353 – its interior and exterior, and the contrast between the old carriages and new ones. These will be put together horizontally in a train-like fashion, with each panel resembling a carriage and will be exhibited in a touring exhibition, ending at LTM early next year. It was certainly a thought-provoking activity and different participants had varying highlights. For Oke it was the drawing, whereas for James it was learning about the history of the carriage. For Gabby, it was the contrast between old and new that fascinated him the most. The whole group took a great deal of care in their work, and worked extremely hard. They were rightly proud of what they had produced, and took time to admire the work of their peers. 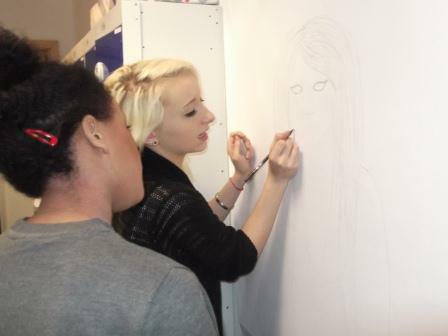 For some, the project showed them that they possessed some impressive creative skills they never believed they had! Overall, everyone had a great time and enjoyed the chance to meet new people and get creative. 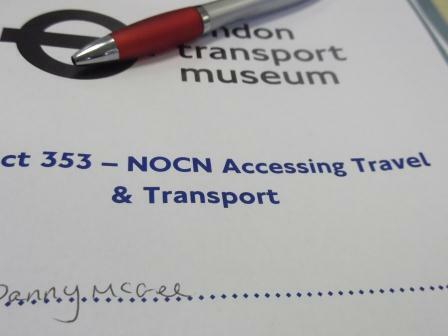 The group made it clear that they can’t wait to come back together in the autumn for a tour of the Metropolitan Railway Carriage 353, when it will have returned to the LTM depot in Acton from its most recent adventures. 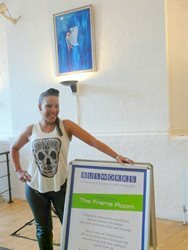 Proud of their fabric artworks, they are also keen to bring their friends, family and colleagues to see their final pieces being exhibited both locally to the NAS, in the autumn of 2013, and at the London Transport Museum in early 2014. In response to feedback from community organisations, Project 353 has introduced a new way of working with our Community Learning Partners – the two day model. This model allows more flexibility for Community Partners and Participants, fitting in with the activities or groups they already support without putting pressure on their capacity. 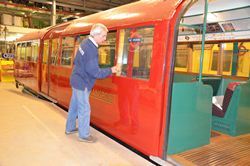 As with our longer term learning opportunities, all of the projects are inspired by the history & restoration of Metropolitan Railway Jubilee carriage No. 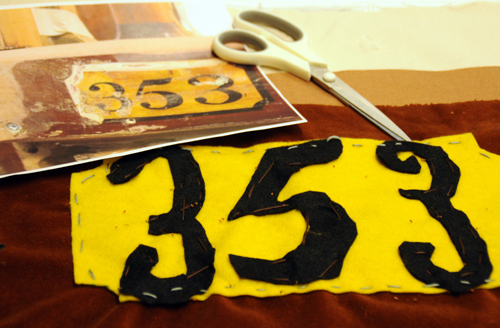 353 and our volunteers will create craft or artistic pieces related to it. The volunteers also have the opportunity to undertake a relevant piece of accredited learning through the National Open College Network or Arts Award. These projects will be mainly focussed on communities in west London who are under-represented in museums and heritage. 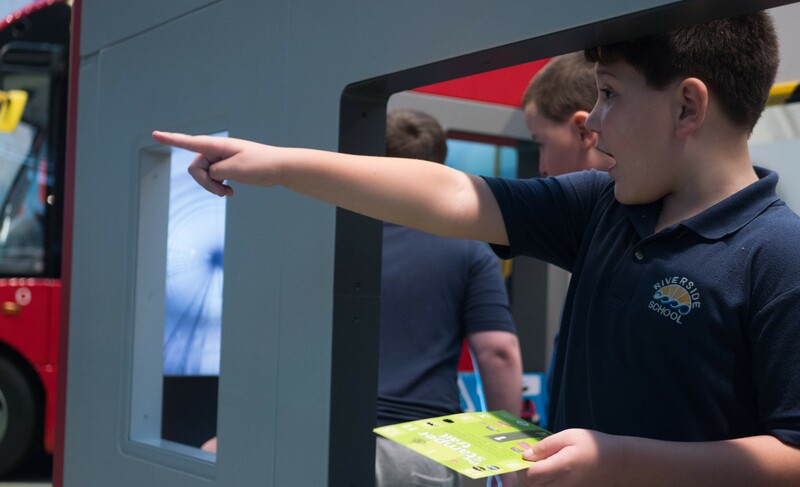 Their projects will take place over the summer and will include activities such as story-telling and collecting, mural making and digital arts. 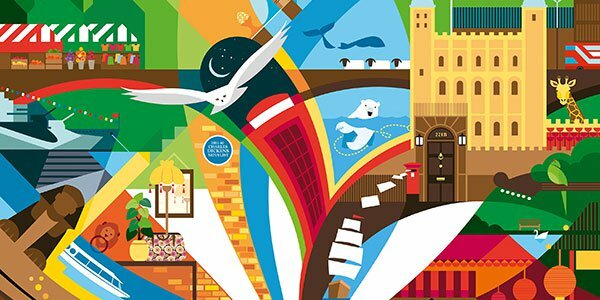 Once all of the two-day projects are complete, the pieces will be curated into a joint community exhibition celebrating their achievements and will tour each of their local areas – so watch this space for further details of both the projects as they begin and to see the work exhibited!